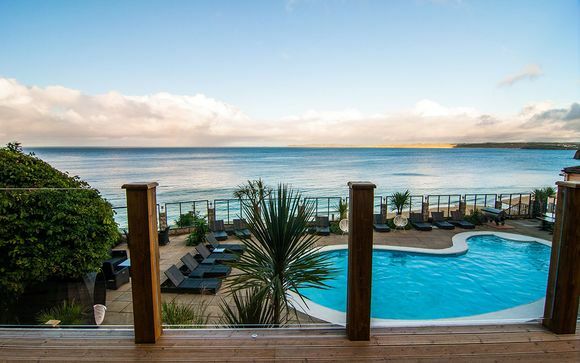 Weekends in St Ives up to -70% off To take advantage of these offers, join now for free! Book online at Voyage Prive and enjoy a weekend in St Ives, the perfect place to enjoy some of the UK's most glorious coastline, whilst staying in luxurious accommodation. 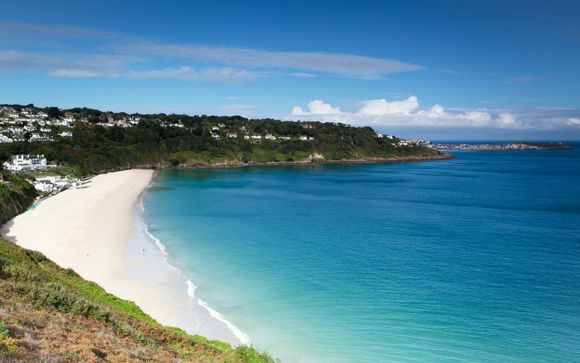 Situated on an idyllic bay, St Ives is a small, but perfectly formed coastal town. Often referred to as the 'jewel in Cornwall's crown', its buzzing culture extends a warm welcome to all its visitors, making it a prime destination for weekend breaks. With the town's oldest pub dating back to 1312, there are centuries worth of history waiting to be discovered. 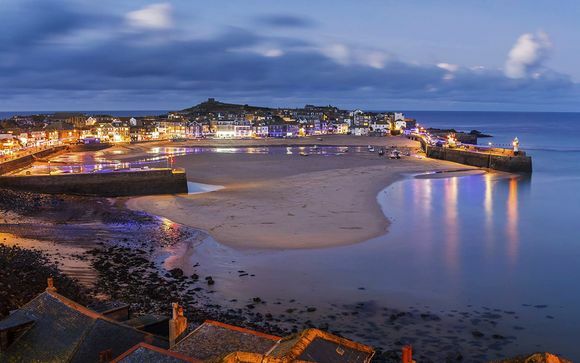 You can enjoy glorious sandy beaches and clear blue skies, with St Ives' history as a prominent fishing village offering up plenty of culture as well as a picturesque scene of colourful boats. Ensure you take a tour of the bay to fully appreciate the beauty of this unique part of the world. The winding cobbled streets will lead you to plenty of high quality, locally owned pubs, restaurants, shops, and cafés, where you'll be able to delight in the traditional cream tea. Having attracted artists since the 1800s, St Ives has a wealth of art and culture waiting for you. The Barbara Hepworth Museum and Sculpture Garden offers a unique look at one of the 20th century's most important modernist artists. The museum, once Hepworth's living and working space, is now run by Tate St Ives, and is a permanent testament to her work. From national icons to local talent, Back Road Artworks offers you the exciting opportunity to explore the work of St Ives artists. Six artists have their paintings permanently on display in the large studio space, but you also have the chance to discover your own talents. Private painting lessons are available to book, along with mixed media workshops, where you'll be able to take inspiration from your surroundings to create beautiful pieces of work. Naturally, St Ives has plenty of restaurants where you can sample delicious delicacies and freshly caught fish. You can delight in fish and chips by the sea, or relish in the delicious shellfish, including oysters, crab, and langoustines. You'll be spoilt for choice, and the al fresco dining options mean you'll have a fantastic view while you enjoy your food. To see all of our exclusive handpicked offers, sign up to our site today. Our luxury weekends away guarantee stunning accommodation and exceptional discounts. Your next holiday begins here.